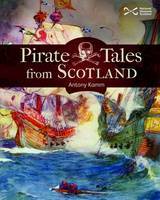 Set your sails east with this stunningly original new history of the world. Peter Frankopan, number one bestselling author and historian explores the connections made by people, trade, disease, war, religion, adventure, science and technology in this extraordinary book about how the east married the west with a remarkable voyage at its heart - the journey along the Silk Roads. From ancient world laws laid down by King Hammurabi and the mighty Persian empire, to terrifying huns, the rise of Europe, two world wars and politics today, The Silk Roads moves through time and history sewing together the threads from different peoples, empires and continents into a phenomenal history of the globe. 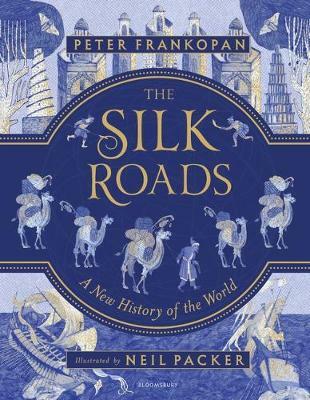 With stories from each and every corner of society, Frankopan's magnificent brand new text based on his literary triumph The Silk Roads, sumptuously illustrated by Neil Packer, is a must-have world history. Peter Frankopan is Professor of Global History at Oxford University where he is also Senior Research Fellow at Worcester College. He took a First in History and was Schiff Scholar at Jesus College, Cambridge, before completing his doctorate at Oxford, where he was Senior Scholar at Corpus Christi College. He has lectured all over the world, including at Harvard, Yale, Princeton, Shanghai, Beijing, Dubai, Lahore, Astana, the UN and UNICEF. His revised translation of The Alexiad by Anna Komnene was published in 2009 and The First Crusade: The Call from the East was published in 2012. Neil Packer has illustrated many adult and children's titles, including The Name of the Rose, One Hundred Years of Solitude, The Iliad and The Odyssey and has worked on numerous titles forthe Folio Society. His work has been exhibited in the British Museum, the British Library and the Royal Academy. 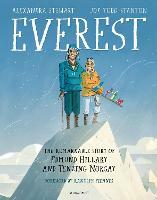 He has also been longlisted for the CILIP Carnegie medal.